It’s been one week since a massive 7.5-magnitude earthquake reverberated throughout Sulawesi, Indonesia, followed by a destructive tsunami that swept through towns and neighborhoods with stunning force. With much of the region’s infrastructure destroyed, local groups have been going to heroic lengths to care for survivors. One of Direct Relief’s longtime partners in Indonesia is the Bumi Sehat Foundation, based in Bali, Indonesia. The group was working to help the community recover from the August earthquakes on the neighboring island of Lombok when last week’s earthquake in Sulawesi struck. Bumi Sehat founder Robin Lim told Direct Relief that her son-in-law’s family is in Sulawesi, trying to make their way to safety in Bali. Lim’s family isn’t alone. Communication lines are largely down in Sulawesi and the fuel supply is critically low, further impeding relief efforts and compounding logistical hurdles to getting aid to the area. Lim and her staff are working with Budi Agung Hospital in Palu. Many hospital employees are still unaccounted for and the building is structurally compromised after the quake, according to Lim. As a short-term solution, tents outside the hospital will provide shelter to patients receiving care. “Bumi Sehat’s focus will be to care for the pregnant, birthing and postpartum mothers,” Lim said. Lim’s group is also working to provide tents, solar lights and water filters, and has drawn from their operational budget to respond. Direct Relief is also supporting the Muhammadiyah Disaster Management Center, which is conducting medical outreach throughout the affected area. 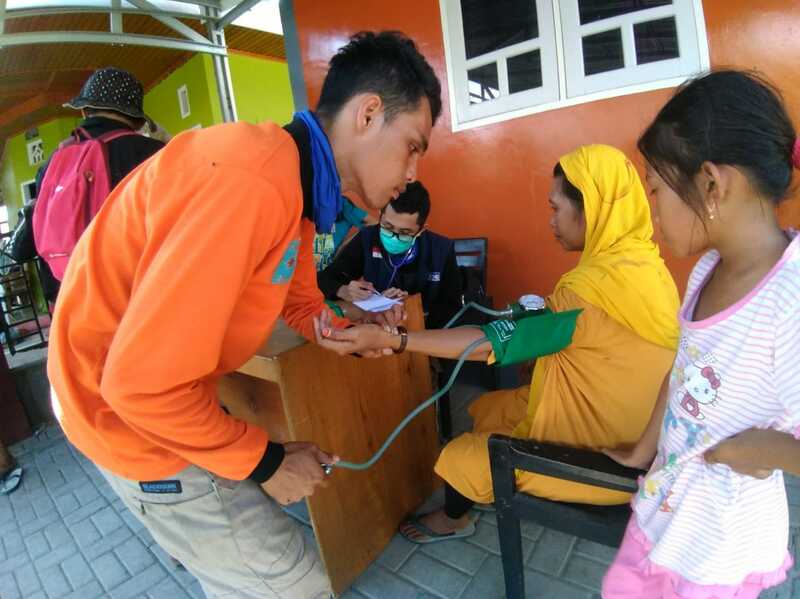 The group established a medical outpost at Muhammadiyah University in Palu, which served over 300 patients over 48 hours, according to a post by the organization. Dr. Zuhdiyah Nihayati, a medical volunteer from Muhammadiyah Hospital in Lamongan, said that patients, many of whom are sleeping outdoors, are suffering physical effects caused by exposure to extreme heat in the day and frigid cold at night. They lack sufficient access to clean water, food and health services, the doctor said. Muhammadiyah is also operating emergency shelters, providing meals, offering psychosocial support to survivors, and conducting urban search and rescue operations, including in the collapsed Roa Roa Hotel, where numerous bodies were found.